You have completed the divorce process in Florida and you were designated the primary residential parent for your children. A few years pass and you get a call from your boss that he wants to promote and relocate you to the company’s New York headquarters. You want to know whether you are permitted to move with your children or if you need to notify your ex-spouse about the move. Fla. Stat. Ann. § 61.13001 outlines two scenarios for relocation: where your spouse agrees to your move (relocation by agreement) or where your spouse objects to the move. Any transportation arrangements necessary to effectuate the revised time-sharing parenting schedule. If you already had a previous time-sharing schedule in place, you will need to seek ratification of your written agreement by court order. If no party requests an evidentiary hearing within 10 days of asking the court to ratify the agreement, there will be an automatic presumption that the relocation sought is in the best interests of the children. A statement in all capital letters that a response to the petition must be made in writing, filed with the court, and served on the parent seeking to relocate within 20 days after service of the petition. The statement must also say that if the non-relocating parent fails to object, the relocation will be allowed unless the court finds it is not in the best interests of the children. If the non-relocating parent responds to the Petition to Relocate within 20 days, the court will then hold an evidentiary hearing to determine whether to allow the parent to relocate with the children. 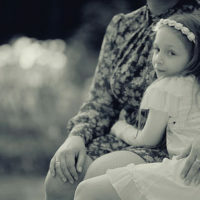 The reasons the non-relocating, noncustodial parent objects to the relocation. Deciding whether to move for whatever reason is a big decision, particularly if you are trying to move with your child. It is therefore important to hire an experienced local family law attorney to ensure you meet all the requirements of your petition to relocate, if needed. Our skilled Winter Park attorneys at Cotter & Zelman, P.A. can help you understand the requirements for initiating and moving forward with your case to ensure you can present the best case for relocating. Contact us today for a free case review.